Fear not, renters . . . there are still many – less permanent – ways to give you rental unit some oomph and make it feel more like a home. Most rentals have cheap vinyl blinds installed. In this blog post, I describe how you can (cheaply) make your own roman curtains by gluing fabric to a vinyl blind. So, take off the vinyl blind installed . . . stash it so that you can re-install it before moving out. 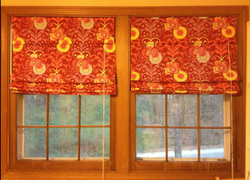 Then go to Target or Wal-Mart, get another mini-blind and follow my tutorial for creating a custom blind of your home. Hang it up using the existing hardware and ‘voila’ instant charm! If buying a high end coordinated furniture set is out of your budget (let’s face it: whose budget has that in it?!) then fake it till you make it. 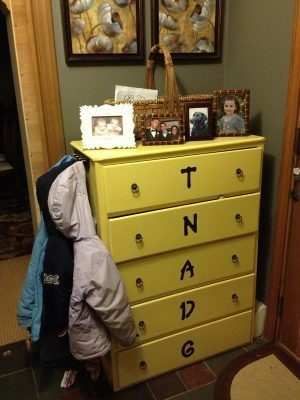 Use some spray paint and make it appear that your furniture is custom & coordinated. I have some great tips here for working with spray paint. Rugs can be a great way to tie in a color scheme, bring a pop of color to a drab room, or even hide a hideous carpet that your landlord should have replaced years ago! 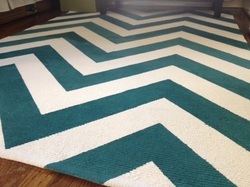 Some of my favorite sites for reasonable price rugs include: Overstock, Rugs USA, Target, Wayfair. . . etc. Of course, I also love a trip to HomeGoods to see what they might have – but, beware – if you see something you like buy it, because it might not be there again! 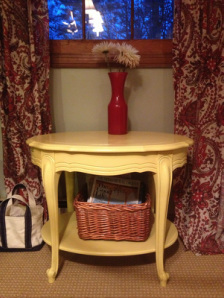 And, if you are really on a tight budget try this tutorial for painting your own design on an inexpensive IKEA rug. 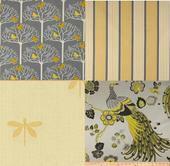 Pick out some interesting fabrics, buy some art canvases from Michael’s and glue or staple the fabric to the canvas. 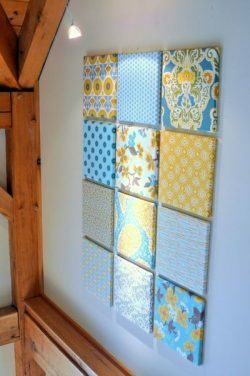 Use some Command damage free wall solutions and hang up your fabric canvases to create an interesting gallery wall. Or you could follow this blog post and create some wonderful Fabric Photo Canvases to display. I hoped you enjoyed reading this post…If you are interested in our great apartments and homes for rent, please visit our Renters section on this website. June 18, 2013 | Categories: Blogs.